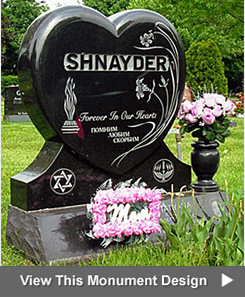 Browse pictures in our flat Jewish bronze marker and flat Jewish bronze memorial design gallery by clicking on the photos below. 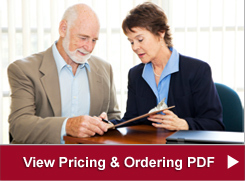 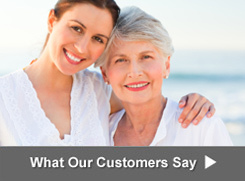 When you find a picture of one you like, click on the "Request a Price Estimate" to get information about prices or call 773-764-7600 to talk to Kornick & Berliner Monument Company about designing or matching a Jewish bronze marker or Jewish bronze memorial for your family. 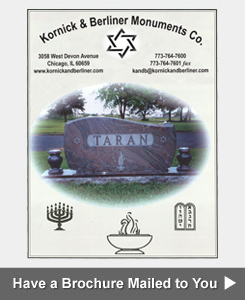 Kornick & Berliner Monument Company designs bronze Jewish gravestones, bronze grave markers, bronze monuments, bronze Jewish headstones and bronze Jewish memorials for placement in bronze Jewish cemeteries in Chicago, Illinois.